Probably not too many may still remember that Adamson Falcon Michael Galinato once donned the green and white jersey during the 2004 UAAP season. The 6’5 center had a forgettable rookie season as he played in only 6 games and averaged 0.3 points. He eventually transferred to other schools but was relegated to their training team. 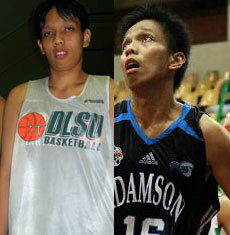 Given a break at Adamson this year, he has flourished to being a steady inside force for the Falcons. Galinato is one of three former Green Archers who played for other UAAP schools over the course of their eligibility in recent years. Mika Vainio was a star during his junior years in La Salle Greenhills. The 6’3 forward played for the Archers from 2000 to 2002. After finishing his undergraduate studies, he went to UP and played one year for the Maroons as a masteral student during the 2005 season. 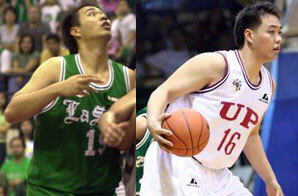 Another La Salle Greenhills product was 6’5 center Michael Gavino who suited up for the Archers from 2001 to 2004. 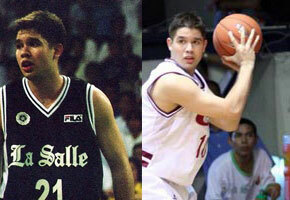 Just like Vainio, he took a masters degree in UP and played his final eligibility year with the Maroons. He eventually got to play in the PBA.